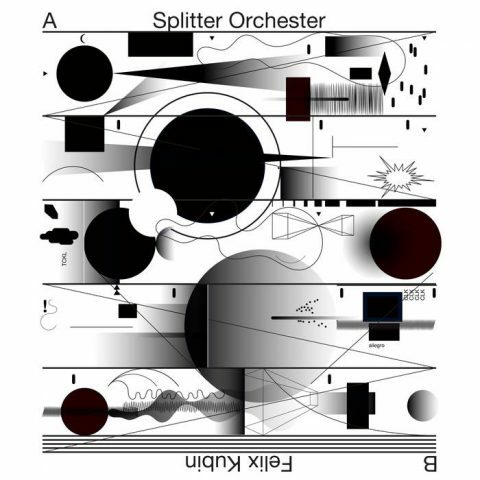 Triggered by the 2015 edition of the Labor Sonor Festival „Translating Music“ in Berlin, this split album between the Splitter Orchester and Felix Kubin offers two sides of the same coin, sometimes appearing like the rendering of an identikit picture. The Splitter Orchester, founded in 2010, is a Berlin-based collection of internationally respected Composer-Performers which draws inspiration from many genres, most noticibly contemporary/improvised music. Splitter Orchester originates from the „Echtzeitmusik“ scene, which emerged in Berlin in the mid-1990s – a locally based and globally networked experimental music scene and long-term platform for the exchange of artistic ideas.